We can expect (3) Inserts this Sunday. Here are the coupons we are expecting. 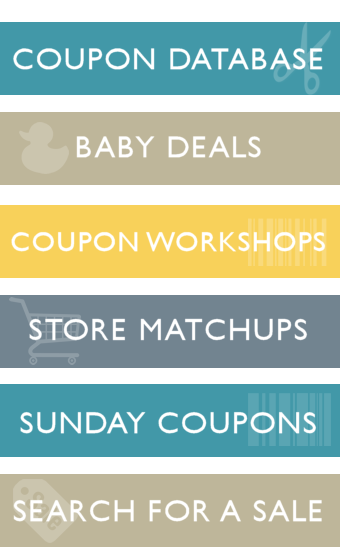 Coupons vary by region so this is just a guide of what should be coming out in most areas. If you are looking for a discount newspaper subscription- I have used this site before and was happy with the price. If you have access to two different newspapers you could get 1 of each! We can expect (2) Inserts this Sunday. *Some areas will have the RMN split into 2 inserts so they will have 3 inserts. We can expect (1) Inserts this Sunday. We can expect (4) Inserts this Sunday. There are NO coupons expected Sunday due to the holiday Monday…anyone else really sad? We can expect (3) Inserts this Sunday. Although some regions may see the RMN combined into 1 – not sure in which regions but check your paper.